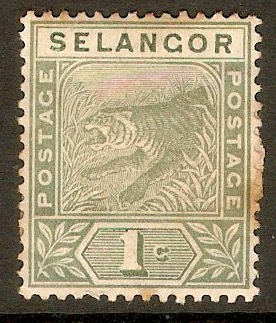 Selangor 1891 1c Green. SG49. Some damage 1891 1c Green. SG49. NOTE: Stain on r/h side and heavy mounted mint. 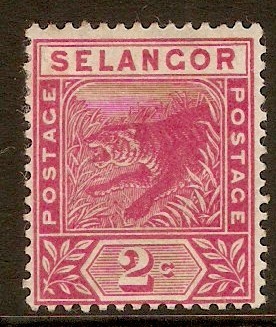 Selangor 1891 2c Rose. SG50. Heavy mounted mint 1891 2c Rose. SG50. Used 1891 2c Rose. SG50. 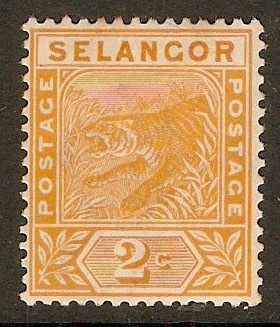 Selangor 1891 2c Orange. SG51. 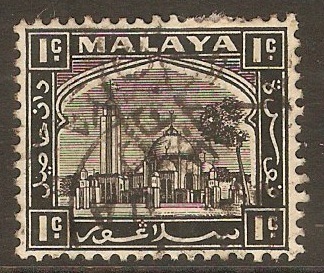 Mounted mint 1891 2c Orange. SG51. 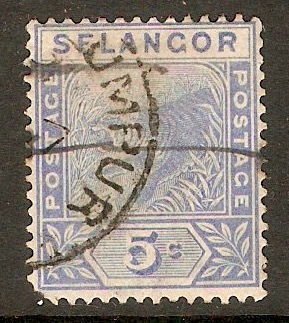 Selangor 1891 5c Blue. SG52. Used 1891 5c Blue. SG52. 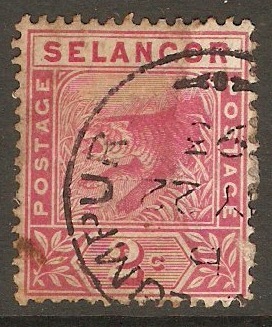 Selangor 1894 3c on 5c Rose. SG53. Unused 1894 3c on 5c Rose. SG53. No gum. 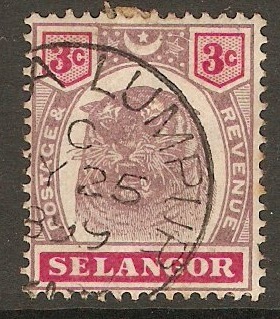 Selangor 1895 3c Dull purple and carmine. SG54. Fine used 1895 3c Dull purple and carmine. SG54. 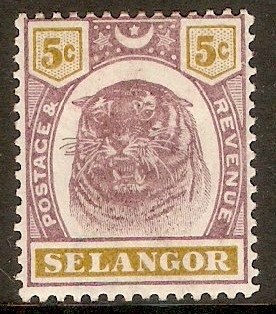 Selangor 1895 5c Dull purple and olive-yellow. SG55. Mounted mint 1895 5c Dull purple and olive-yellow. SG55. 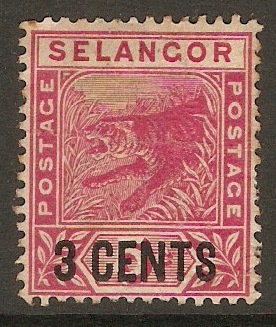 Selangor 1935 1c Black. SG68. Used 1935 1c Black. SG68. 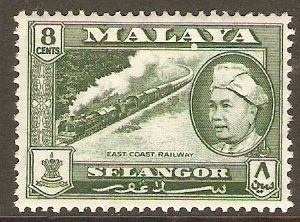 Selangor 1935 2c Green. SG69. 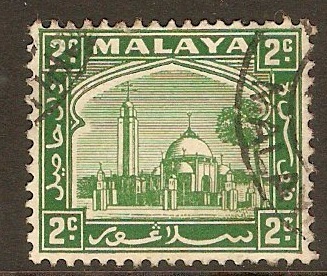 Fine used 1935 2c Green. SG69.